In 1980, Larry Weisz left a successful career with a major food merchant and struck out for new frontiers–both professionally and geographically–by purchasing a small grocery store in Tok, Alaska. And the store soon developed a loyal following throughout eastern Alaska. 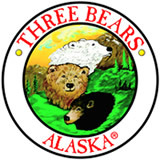 In 1989 Larry opened the first store to carry the name “Three Bears” in Valdez, Alaska. In 1993 the company continued to grow with a third store, a combination superconvenience store (fuel station added in 2002), located in Seward, Alaska. Soon, all of the stores came to be called Three Bears and carried a larger selection than a convenience store but still smaller than a full-size supermarket. Essentially, these three stores were designed to be “just right” for the communities they serve. But bears grow big in Alaska, so in the mid-1990’s, Three Bears expanded again by developing a new mini-warehouse store format in Kenai, Alaska. 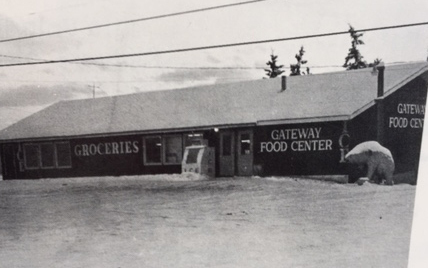 By 2004, the Kenai store location had grown to 48,000 square feet and carried a mix of bulk warehouse products and conventional grocery products that was again “just right” for the community. Of course, as bears grow and then grow some more, they need to increase their territory, so Three Bears opened another warehouse store (51,000 square feet this time) in Alaska’s Mat-Su Valley our Palmer/4 Corners location in July 2005. Now, one would think that Alaska would be big enough to contain a bunch of growing bears, but it turns out that in 2007 Three Bears headed for the Lower 48 and opened a new mini-warehouse store (61,000 square feet) in Butte, Montana. Of course, Alaska is still plenty big and a bunch of roaming bears never know when they might come across a cabin in the woods–or an existing mini-warehouse building new on the market–that’s “just right” and simply too good to pass up. So, in late 2007, Three Bears began remodeling a 2-year-old mini-warehouse building located in the Mat-Su Valley on the Parks Highway at the intersection with Pittman Road, our Meadow Lakes location. This store opened and began serving the community on “leap day” (February 29th), 2008. And then on July 1, 2011 and at least partly because Three Bears likes to do things in, well, threes (of course! ), Three Bears opened its third mini-warehouse store in the Mat-Su Valley at 3950 S. Knik Goose Bay Road (just a 1/4 mile from the intersection with Vine, our KGB Rd. location. And part of what makes this Three Bears store “just right” for the community is the store’s Three Bears Pharmacy and 24-hour fuel station. Since then Three Bears Alaska has continued to grow to help out local communities by opening a store in the Chugiak/Birchwood area in the summer of 2014. This Three bears features a Shell Kiosk, a Java Den (a new coffee venture for Three Bears) a Bears Den Liquor department, and an Outpost. Then Three Bears opened the Big Lake location in the summer of 2015, a Convenience Shell fuel station in Big Lake in the Summer of 2016, and an over-sized Convenience Shell fuel station in Houston, AK in May 2017. Our newest location opened December 2017 in Healy , AK. This was a welcoming site to local residents who now, don’t have to drive 2 1/2 hours to Fairbanks to grocery shop. 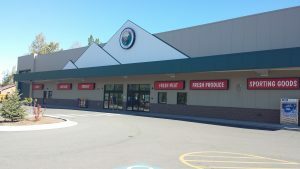 Staying with the “just right” motto, this full size Three Bears grocery store location (37,000 sq ft) features an Ace Hardware, Bears Den Liquor store, a Shell Fuel Station, and an Outpost. To this day Three Bears is still a family owned and operated company and plans to be around for quite a few more years. The company’s CEO/President is one of Larry Weisz Sr.’s sons, Dave Weisz. He continues the values and beliefs that his father set out many years ago that Three Bears will be “just right” for the communities we open stores in. 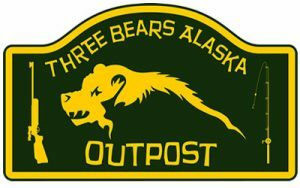 “Three Bears Alaska, Alaskan Serving Alaskans, Since 1980”.